Figures released today show that total net migration in the year ending June 2015 has hit a new record high of 336,000, up 82,000 on the year ending June 2014. 88% or 295,700 of total net migrants arrived to live in England, that is an increase equivalent to the population size of Bradford, 6% located in Scotland, 4% Wales and 2% Northern Ireland . 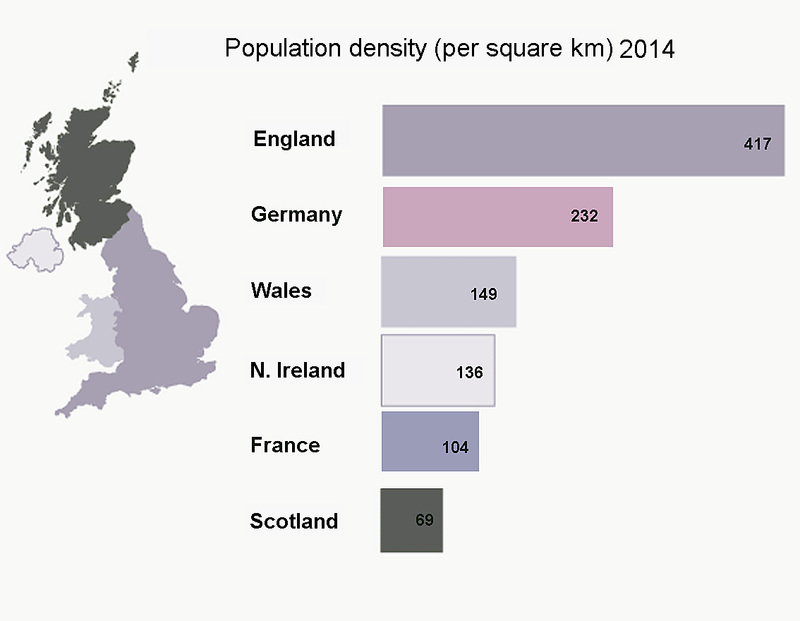 The North West region received 55,000 immigrants and was home to 9,000 asylum seekers in June 2015 meaning the region housed considerably more new migrants than the combined totals for Scotland, Wales and Northern Ireland. 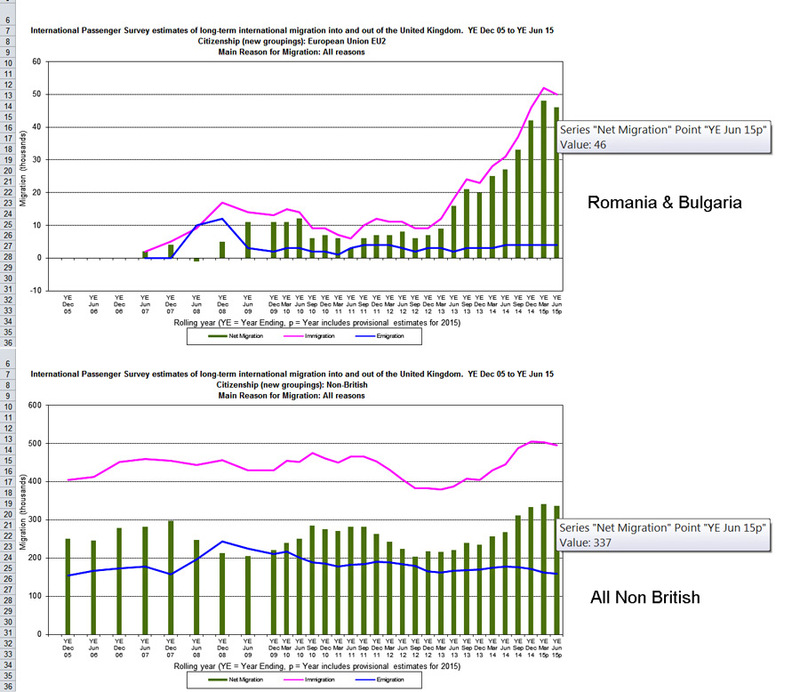 Net migration from Romania and Bulgaria in the year ending June 2015 was 46,000. Commenting, Alp Mehmet, Vice Chairman of Migration Watch UK said: “These are very disappointing figures, net migration is running at a third of a million a year with no sign of any forthcoming reduction. If these numbers continue the pressure on our infrastructure will intensify. For example, the efforts announced yesterday to increase house building will be wholly inadequate in addressing the huge demand on housing. The statistics also show that 655,000 National Insurance Numbers, which include short-term migrants, were issued to EU nationals in the last year, an increase of 150,000. This demonstrates the importance of the government’s planned renegotiation on Britain’s relationship with the European Union to reduce the inflow of migrants from Europe.